Pay 1000 Life Points. 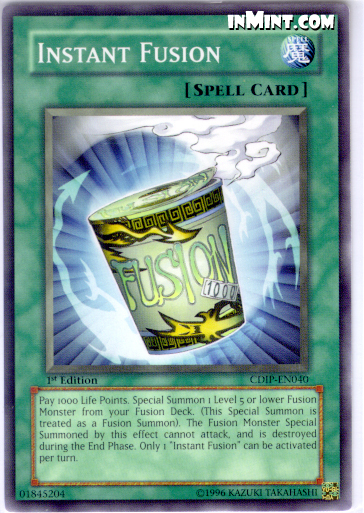 Special Summon 1 Level 5 or lower Fusion Monster from your Fusion Deck. (This Special Summon is treated as a Fusion Summon). The Fusion Monster Special Summoned by this effect cannot attack, and is destroyed during the End Phase. Only 1 "Instant Fusion" can be activated per turn.